Carolyn Baker’s Collapsing Consciously: Transformative Truths for Turbulent Times is perhaps the most approachable book on collapse you are likely to find. Carolyn Baker presents a no-denial appraisal of the global dark night that our species has created. Even in a time of collapse she finds room to talk wisely about joy, and to ask what despair has to teach us. Baker is a truth teller who dares us to go deeper into the night rather than to flee from it with superficial happy talk. I praise her for this very useful and very real book of rich meditations and practices. Carolyn Baker is an outstanding guide to sustaining and even enhancing our emotional and spiritual vitality as we navigate the disintegration of the world as we’ve known it. This is a book that most definitely needs to be read. It is crucial for us to ponder Carolyn Baker’s profound and indispensable exposé of industrial civilization’s future. Her words are powerful and her wisdom rich and supportive. We need to seriously reflect on her message if we are to midwife a spiritual vision of life based on compassion, justice and solidarity. 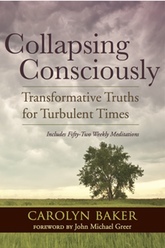 Collapsing Consciously: Transformative Truths for Turbulent Times is one of those books that is not meant to gather dust. It is a book you will want to keep close—in your glove box or in your pocket. Within a year you will see it get dog-eared, and it will become one of your best friends and companions as we all share and experience the shift into a new era of existence. With this collection of essays and words of true wisdom, Carolyn Baker shows that she is truly one of the very best ports in the impending storm. 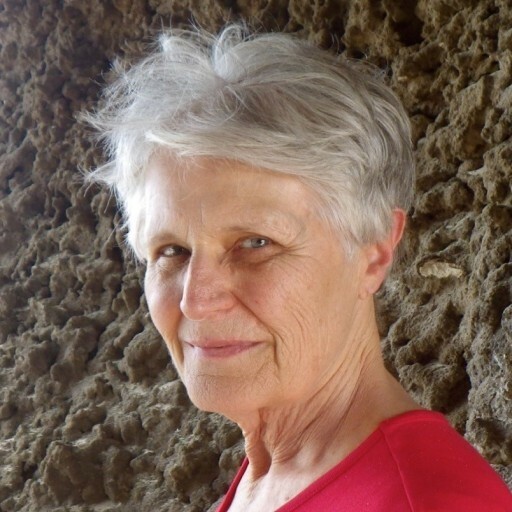 Carolyn Baker is one of the few visionaries willing to take an unflinching look at the horrendous environmental, social, and economic situation we collectively find ourselves in—and also offer constructive day-by-day psychological and spiritual guidance for living a joyful life in the face of the escalating collapse of industrial society. Kudos, Carolyn Baker! De-riddling paradoxes, lighting up convergences, you walk with the Shadows through the Valley of Jung, to show how kindred spirits working together may evolve a better, saner, more healthful world out of the madness and detritus that envelops us now. No one writes like Carolyn Baker about the crisis of our time. Her fierce wisdom is an essential guide to our survival, and the courage with which she writes will excite and inflame your heart.